Real estate investment trusts (REITs) are now a core source of income for investors and retirees. REITs represent more than $1.1 trillion worth of equity market capitalization. 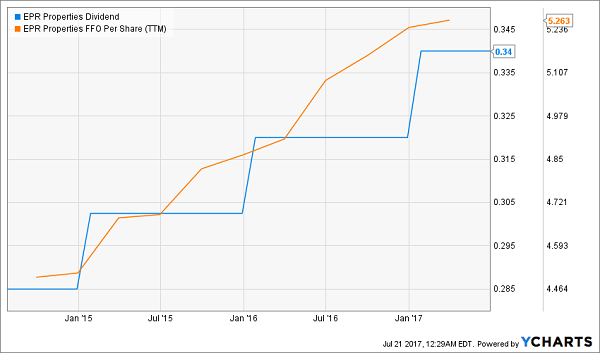 Their popularity has soared – the amount spent trading REITs is nearly double what it was just 10 years ago. The downside of fame? There aren’t nearly as many hidden gems in the sector as there used to be. At this point, companies like Simon Property Group (SPG), Realty Income (O) and even Public Storage (PSA) are widely known and covered – and their valuations show it. But I have my eye on four lesser-discussed REITs that still have a little something special to add to the REIT space. We’ll discuss them in a moment. It pays to seek out the unique names. When stocks become too popular, they draw too much attention to the space and encourage competitors to jump in. Consider the darling self-storage market, which today is crawling with options. PSA, Life Storage (LSI), Extra Space Storage (EXR) and CubeSmart (CUBE) are all competing to store the same “stuff”. 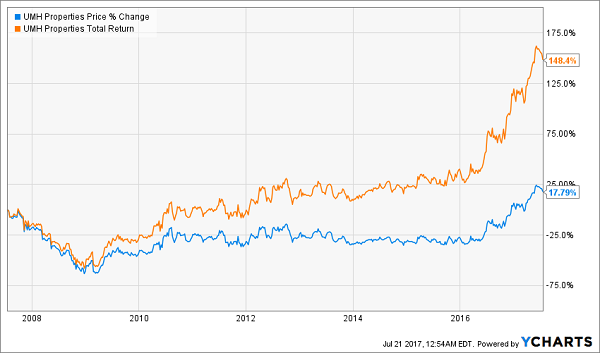 These stocks sizzled for years as more and more analysts and investors became enamored with this niche … but in 2016, the bubble let out some air as the market realized how overheated self-storage had become. The space is only now really starting to recover and worth a look again. There are opportunities, though, if you’re willing to take the path less traveled. 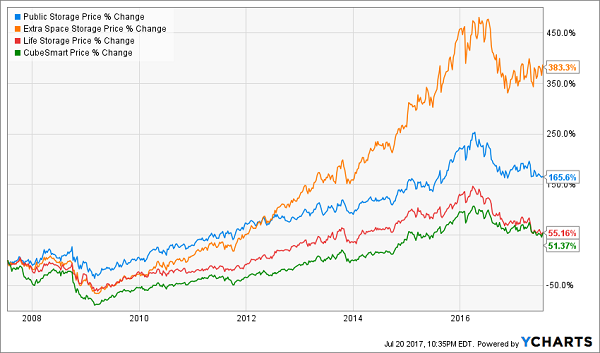 So let’s review four underappreciated REITs. They have little analyst coverage, but are quietly dominating the unique niches they operate in. Where’s the wealth going? A recent study by the Economic Policy Institute showed that CEOs, for instance, now make 271 times more than the average worker! Pebblebrook Hotel Trust (PEB) is situated perfectly to capture this growing trend, investing in “upper upscale, full service hotel and resort properties” such as the LaPlaya Beach Resort & Club in Naples, Sir Francis Drake Hotel in San Francisco and Hotel Monaco in Washington, D.C. These aren’t mere accommodations, but destinations which serve the needs and wants of the wealthy (while hitting them with every luxurious upsell, of course). PEB boasts a payout ratio of less than 60% of trailing-12-month funds from operations (FFO), so there should be no concerns about the company’s ability to cover its 38-cent quarterly dividend. Plus, a massive drop in 2015 across the hotel REIT space worked off overbought conditions. Today Pebblebrook trades at just 12 times FFO. The flip side of the socioeconomic coin is where UMH Properties (UMH) comes into play. While many residential REITs are creeping further into the upscale apartment space, UMH Properties serves the middle and lower classes via manufactured home communities. This REIT spans 19,396 sites across 107 manufactured home communities in the Midwest and East Coast. It also has another 810-plus acres of land in the chamber for developing new sites. UMH owns what are called “land-lease communities,” where residents not only own or rent homes, but lease the lot itself rather than purchasing it. These communities often feature amenities such as basketball and tennis courts, fitness centers, swimming pools and even storage areas for boats, RVs and other large vehicles. A key to UMH’s success has been its focus on providing affordable housing in booming areas, including in and around the Marcellus and Utica shales. There’s simply monstrous demand for single-family homes, and UMH is providing one of the most affordable options on the market. UMH is really starting to come into its own, popping 60% since Jan. 1, 2016, after years of range bound trade. That’s not coming on hype, either. 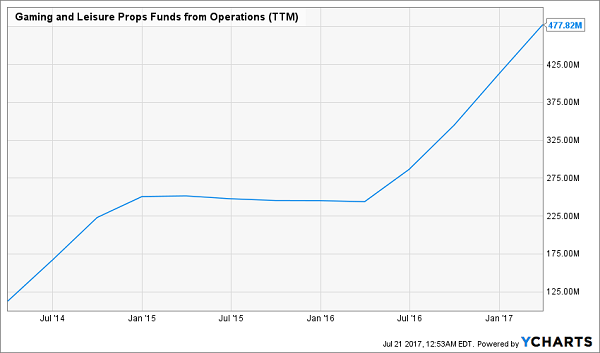 Business is booming, with funds from operations jumping from 61 cents per share in 2013 to 74 cents in 2016. This isn’t the most scintillating business, but it meets a need that other businesses won’t. Gaming and Leisure Properties (GLPI) is a return to the experience economy theme we mentioned with Pebblebrook. It’s lodging, of a sort, but it’s also entertainment and gambling. GLPI owns and or operates a few dozen casinos across 14 states, including several properties that fly the Hollywood Casino or Ameristar flags. While it eventually plans to branch out into other entertainment venues, right now, the focus is gaming, gaming, gaming. That’s not a bad place to be. Technavio forecasts the industry to grow at a modest 5% clip through 2020, and much of that growth will be found where GLPI sets up shop – outside Sin City. Gaming and Leisure Properties owns just one facility in the Las Vegas area, and instead is concentrated in places such as Louisiana, Mississippi and Ohio. This is a younger REIT, converting to the structure in 2014, so it doesn’t have much history. However, its 6%-plus dividend is covered with room to spare by adjusted FFO, and despite a market-crushing 22% return in 2017, GLPI trades at a sub-12 price/AFFO. Amazon.com (AMZN) has been eating the lunch of specialty electronics retailers like Best Buy (BBY) for a couple decades and has even sent HHgregg to an early grave. As its offerings have expanded, it has encroached upon big-box retailers such as Walmart (WMT) and Target (TGT), and it’s sending the likes of Macy’s (M) to ruin. Amazon’s not done, either, purchasing Whole Foods Market (WFM) this year in a move that has the grocery industry panicking, and recent news that it will be selling Kenmore appliances from Sears (SHLD) even sent Home Depot (HD) and Lowe’s (LOW) – long immune to Amazon’s advances – for a bit of a spill. What do these names have in common? They’re all tenants of retail REITs, which have been demolished as a group over increasing fears that Amazon is killing brick-and-mortar. But at least one retail REIT looks like it’s still completely Amazon-proof. Entertainment, including megaplex theaters and entertainment centers. Recreation, including ski areas, TopGolf golf entertainment complexes and water parks. Education, including public charter schools and early childhood education. This is yet another play on the experience economy theme, and has kept EPR mostly insulated from the pain of its retail brethren. Meanwhile, its monthly dividend is on the upswing and well-covered by FFO. EPR, then, is a rare income-and-growth play in the battered retail space. Retire in Style With 12% Annual Returns For Life! 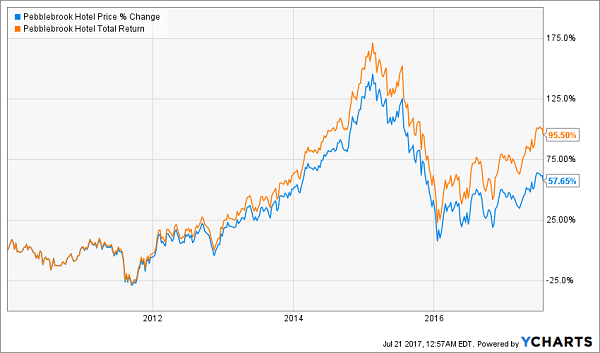 You can’t rely on low-growth dividend stocks to get you to the finish line in retirement. While a 5% or 6% yield might be nice, if that’s all you’re earning, you’re going to find yourself cutting corners and skimping for the rest of your post-career life. If you want to make it through retirement fully funded and without a care, you need much more than that – specifically, you need about 12% in safe annual returns. Wall Street is littered with high-yield death traps whose payouts are just a couple years away from vanishing. It’s also full of blue chips that offer loads of safety, but no room for growth and dividends that simply aren’t enough to pay the bills in retirement. That’s why I’ve been buried in data for months now, tracking down the kind of portfolio that offers the high current yield, dividend growth track and capital gains potential possible to reach double-digit returns. The result is my “12% for Life” portfolio. This set of stock picks will reap at least 12% in annual returns – which is what you need to ensure the kind of no-worries retirement you’ve been busting your hump to achieve for the past few decades. And as you might imagine, this isn’t your garden-variety dividend portfolio. This set of no-doubt dividend picks combines the best aspects of numerous types of investment strategies – income, growth and even portfolio protection! All told, these are seven investments that can return 12% annually, which is enough to double your portfolio in six years. It also is built to survive downturns like 2008-09, which wiped out trillions of dollars in wealth and shattered the retirement plans of countless Americans. Pay your bills in retirement from dividend income alone and have enough left over for all the extras – a new patio, a timeshare in Palm Beach, an all-inclusive European cruise. And most importantly, you can continue building your nest egg, which offers downside protection against life’s ugly surprises. 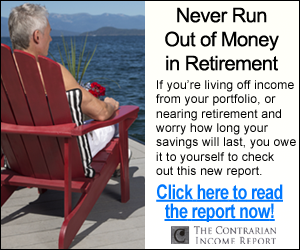 Let me show you how to earn the double-digit returns you need to enjoy retirement at its fullest. 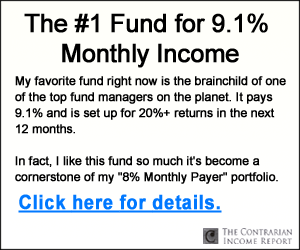 Click here and I’ll GIVE you three special reports that show you how to earn 12% for life. You’ll receive the names, tickers, buy prices and full analysis for seven stocks with wealth-building potential – completely FREE!